Beware! It will soon be Friday the 13th. 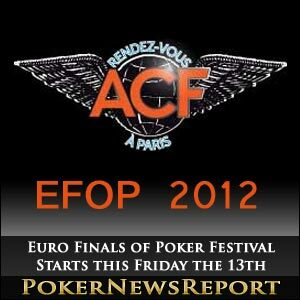 Still, while many believe such a date to be unlucky, those taking part in the Euro Finals of Poker festival in France will certainly be hoping for some good fortune come the end of 17 days’ play. Yes, the poker tournament begins on the 13th, but surely no poker pro will place any great significance on that day at the end of this week. The Aviation Club de France in Paris will see the festival start with a €50 buy-in No-Limit Hold’em rebuy satellite to the Bronze Championship and close with the €250 buy-in Omaha Hi-Lo Championship freezeout event on Sunday, January 29. There will also be a €150 buy-in Ladies Championship No-Limit Hold’em freezeout event on the opening day, while a further nine European champions will also be crowned by the time the last of the chips are on the felt in France. 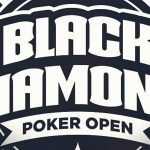 However, the tournaments that most likely will attract the most attention, as well as player numbers, are the €5,000 buy-in Diamond Championship that begins on Thursday, January 26, at ends four days later on the 29th, and the €10,000 buy-in High Roller event over two days from the 28th to the 29th. Then again, many poker fans will also be eager to see who emerges victorious in the numerous other No-Limit Hold’em tournaments, as well as the Pot-Limit Omaha and H.O.R.S.E. Poker championships. Buy-ins range from €50 satellites and €100 events, all the way up to the €10,000 required to play in the Super High Roller, so there should be something for everyone making the journey to the French capital city. 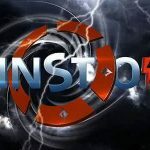 What is certain is that every player signing up for the Diamond Championship will be looking to emulate Natalia Nikitina after the Russian player – who was sponsored by beleaguered poker room Full Tilt Poker – won last year’s event for a healthy $332,624 top prize after outlasting 187 other entrants back in February. The 24-year-old also had to show great determination and skill to see off players such as English star Sam Trickett and the always-dangerous Parisian Benjamin Pollak. Meanwhile, the 11th annual European Poker Awards (EPA) will also take place at the Aviation Club de France on Wednesday, January 25. Englishman Nic Szeremeta – who was honoured at the 2010 ceremony with an EPA Lifetime Achievement Award – will host the event, when the best players of last year will be rewarded in numerous categories. An eight-member committee has decided who will be rewarded in the categories, which include Player of the Year, Leading Lady of the Year, Internet Player of the Year, Rookie of the Year, Best Tournament Performance, Best Poker Event of the Year, the Lifetime Achievement Award, the Gardner Memorial Award for the Poker Personality of 2011, and Casino Staff Person of the Year. 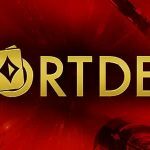 It’s going to be tough to select who is deserving of these awards – especially the player of the year – with the likes of Aussie Millions $100,000 buy-in High Roller event winner Trickett, fellow Englishman Chris Moorman – the runner-up at last summer’s World Series of Poker (WSOP) $10,000 buy-in Six-Handed World Championship – and German Pius Heinz, who of course took home $8,715,638 for winning the WSOP’s $10,000 main event in November, having such incredible years. The previous winners’ list is a who’s who of European stars, and includes players such as German Sandra Naujoks, Italy-based Australian Jeff Lisandro, French Triple Crown winner Bertrand ‘ElkY’ Grospellier, Russian Vitaly Lunkin and another Frenchman in Antoine Saout.